Join us on Saturday, August 6 at 10 a.m. at to enjoy food and fellowship and to discuss “Winter Solstice” by Rosamunde Pilcher. 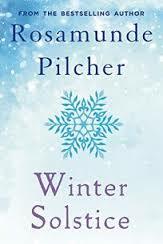 Amazon.com Review: Rosamunde Pilcher’s novel, despite its chilly setting, will warm the hearts of her growing army of loyal fans. Winter Solstice has all the familiar trademarks of a Pilcher saga, spun in her inimitable, homey, beguiling style. 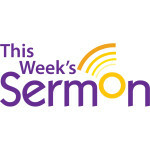 The story is told, chapter by chapter, from the perspectives of an eclectic array of characters. Former actress Elfrida–not very good by her own admission–leaves London for a geriatric bolthole in the country where she meets retired schoolmaster and organist, Oscar. Meanwhile, Carrie (Elfrida’s second cousin), returns to London from Austria where she had a brilliant career in the tourist industry, only to find her niece, 14-year-old Lucy, sadly neglected by her selfish mother and equally spoiled grandmother. Finally, handsome Sam is recalled from New York by his company chairman to revive an ailing Scottish textile mill. As one character after another must learn to live with their losses, they find themselves collectively spirited northwards, from Sussex to Scotland, by way of Cornwall. And, as events unfurl, slowly, surely, but inevitably, those in need find solace in unexpected places. While her characterizations are generally carefully crafted and entirely rounded, Pilcher’s greatest strengths lie in her natural, easy narratives of everyday life and her thoroughly researched and captivating descriptions of scenery and surroundings.